Vintage 6.56 crt cert. 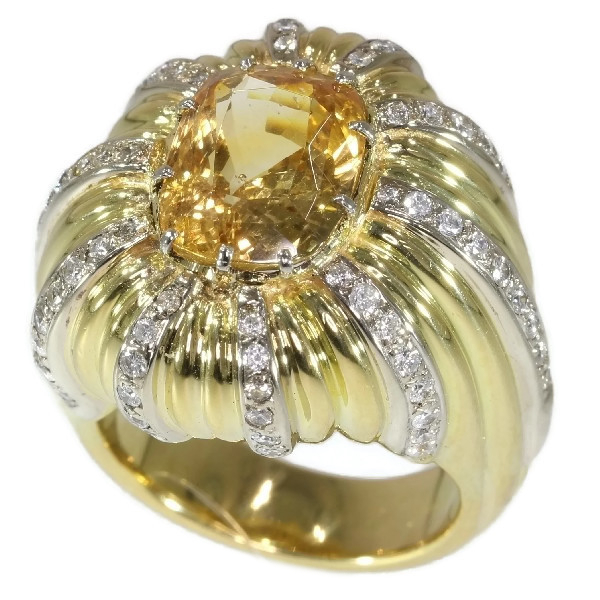 natural Yellow Sapphire and diamond gold cocktail ring: Description by Adin Antique Jewelry. Diamond(s): 72 brilliant cut diamonds with an estimated weight of ± 1.44ct. (colour and clarity: F/G, vs/si). Total diamond weight: approx. 1.44 crt.